Haha – not long! I was immersed in shooting the violets when I quite by accident came across these two. I took five or six quickies, and this was the best of the bunch. It’s all about those unexpected moments 🙂 :-). It does look like they are getting ready to dance or at least exchanging a bit of news! 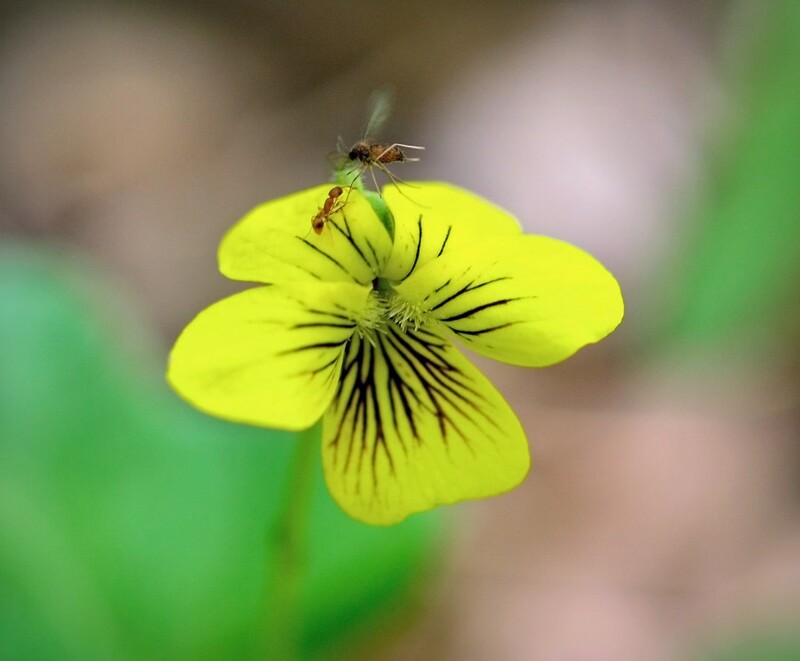 The violet is so pretty, yellow is rare for us. I have just a few in my wooded garden. Dancing, or exchanging bits of gossip :-). I’ve seen white, purple and just a few yellows in the woods.